If you see this error message: “You need to define some clickable areas for your image.” then you’ve probably uploaded an image without drawing on it. 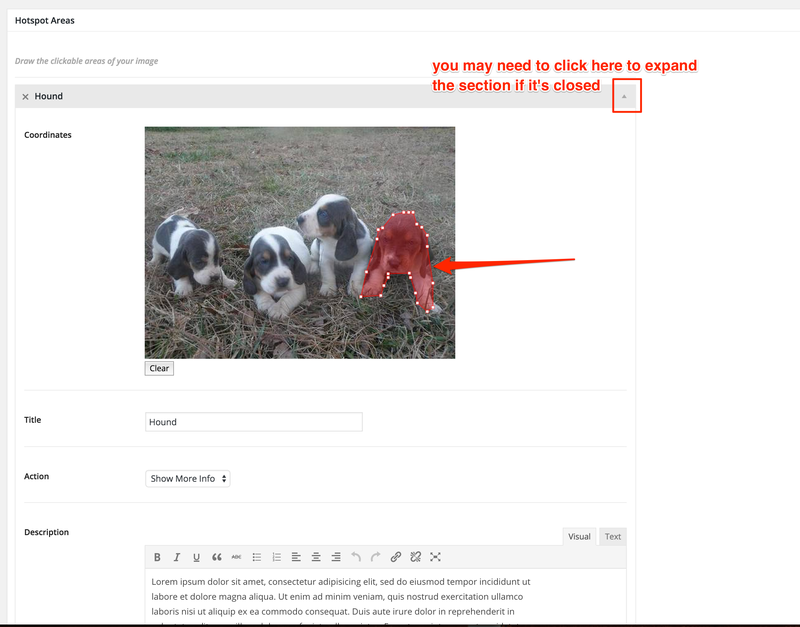 View your image on the frontend of your site to see how it looks. The very first area has a shape drawn. Sometimes it’s easy to skip the first area and to draw on the other areas.